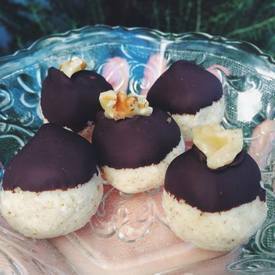 Lemon ginger coconut chocolate bites! The batter alone tastes like lemon meringue pie filling. The best thing about this recipe is that it is completely clean and raw so you can eat like 50 of them and not feel guilty.